So when my father-in-law came to town recently, and my wife asked me to prepare his birthday dinner, guess what came to mind? A big fat steak! But Filet Mignon is super pricey, if you buy center cuts like I prefer. 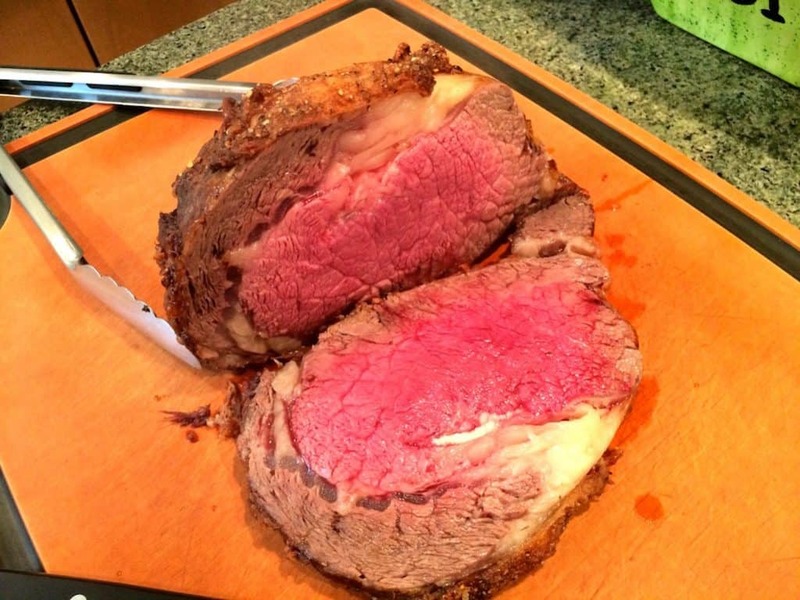 But for about half the price, you can buy a boneless beef rib roast, and cook yourself an awesome dinner, fit for your father-in-law’s birthday dinner! This is basically a one ingredient dish, so the beef gets the bulk of my brain activity when thinking this recipe through. 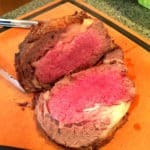 Is beef really the meat I want to use? Should I buy grass fed, or the tastier (in my opinion) grain finished beef? And how do I go about making sure I get the “healthiest” beef possible, while still enjoying my dinner? All good questions, I’m glad I asked. There was a time when I bought in, just a little bit, to the idea that I should really limit the amount of beef I eat to something like once a month. That was a dark time. But now, after being enlightened, accidentally, by a chain event which started while visiting my mother, I know better! Saturated fats are healthy, often tasty, and necessary for our bodies to function properly. And beef has a bunch of saturated fat. It also contains high levels of monsaturated fats, another necessary and healthy fat. Think olive oil. So I’m fine eating beef, because now I’ve talked myself into thinking it’s healthy. But what about the morality of eating cows? I can’t say I have a great answer for that, I’ve simply never been bothered by being an omnivore. I have no doubt that under the right circumstances, there is another animal out there that would be happy to eat me in order to survive. It’s a cruel world out there, and the circle of life is definitely alive and well. But that doesn’t mean that I have to support mindless cruelty towards animals. It’s important to know where your food supply comes from, and whether or not you are comfortable supporting that business with your continued purchases. For many reasons, I’m simply not comfortable with beef production coming out of Concentrated Animal Farming Operations, (look it up, pretty disgusting) so I buy my beef only from reputable vendors that meet my standards. And now the question I’ve had the most trouble with… grass fed vs grain fed. There is no doubt which one I prefer, taste wise. Grain fed wins hands down. But the most current literature seems to suggest that grass fed beef is nutritionally superior, even to humanely raised grain finished cattle. Bummer. So I have compromised with myself. 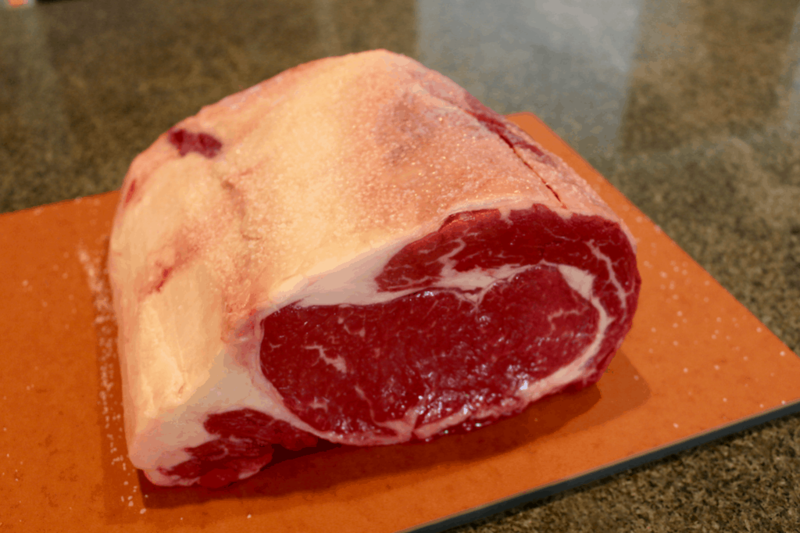 When cooking steaks or roasts, or anything where the beef is going to be front and center and taste will be ultra critical, then I go with grain finished beef. But when I can slip some grass fed beef into my diet, such as in burgers or stir-fry, then I tend to go that route. But always hormone and antibiotic free! 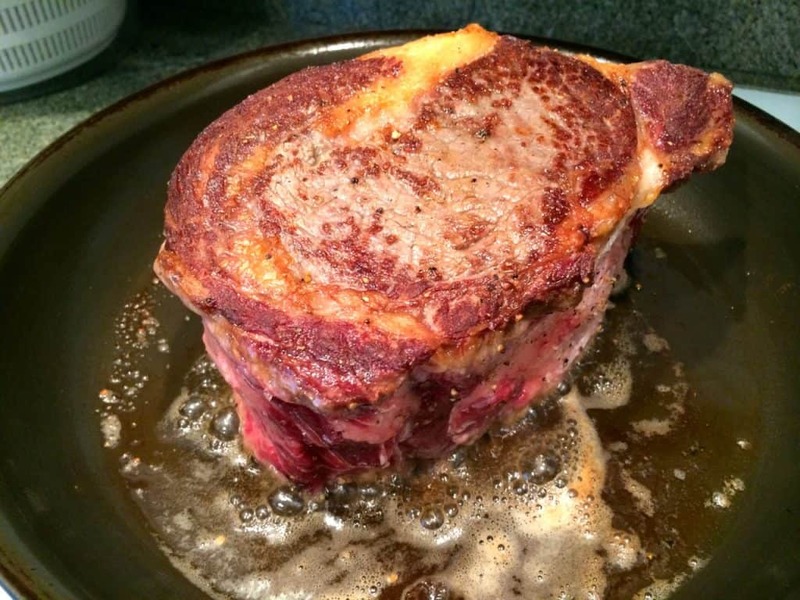 Since I first wrote this blog post, I have moved from Kentucky to Texas, and the quality of the grass fed beef here is so different from what I could find back home that it almost seems unfair to the residents of KY. In fact, grass fed beef seems to be the default here, not the exception. But be warned, that simply because a sign says your beef has been grass fed, that does not necessarily mean for every day of their life. Some vendors will raise their beef on pasture for all but the last two weeks of the animal’s life, and then feed then corn or commercial feed to fatten them up right before slaughter. So, as always, make sure you know what you are paying for when placing your order!